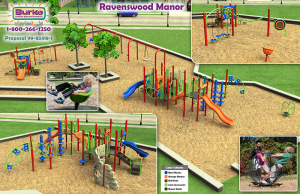 Ravenswood Manor Park was recently nominated for a Chicago Plays grant, which is jointly administered by Chicago Park District and Friends of the Parks. 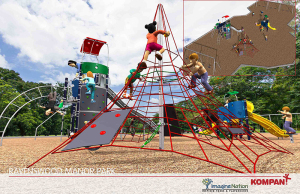 After being nominated, the Chicago Park District asked HPAC to gather input on four design options. The options show a variety of styles of new play equipment, but all of the options include new engineered wood fibar ground surface. 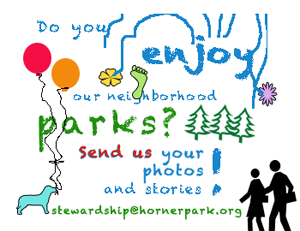 Please voice your opinion on the designs by filling out this online survey by 5:00pm Thursday Nov. 13. If you have questions, concerns or would rather not have new playground equipment at all please send us your comments in the space made available one the survey form. 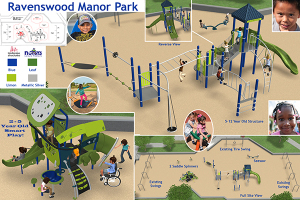 Launched by Mayor Emanuel and the Chicago Park District in March 2013, the new “Chicago Plays!” Playground Program is a five-year playground renovation project. 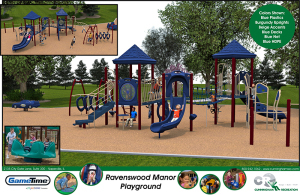 The intentions of the program are to upgrade all playgrounds to new standards and provide safe and maintainable play equipment for the next generation.The program targets the replacement of equipment at over 300 aging playgrounds throughout the city. The Chicago Park District is working with Park Advisory Councils and the Friends of the Parks closely in the implementation of this program.